Today after returning from one very exhausting day (tragically not a way one should start a work week), I found a notice left on my door from Fedex, I had missed their delivery (….how much more crappy can this day get?). I made a call to them asking them if they could have their people to come around again and now deliver the package to me since I am home (I came back at 3pm while they had made the delivery at 12pm). They said they would try but they were swamped with delivers due to the long CNY holidays and may not be able to send it until tomorrow.In the end they managed to deliver it after all for a second time (at 4pm, damn good service! I’ll be using their services again next time! 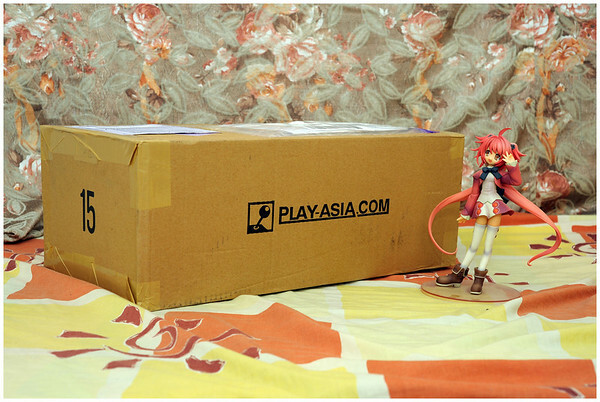 ), and the package was in damn good shape unlike my last package by Poslaju. Notice something? It hasn’t been pan-cake! I then proceeded to delicately open the package with surgical precision (sounds of chainsaw can be heard in the background). Here is the package after removing the toilet paper wrapping. After removing here from the box. 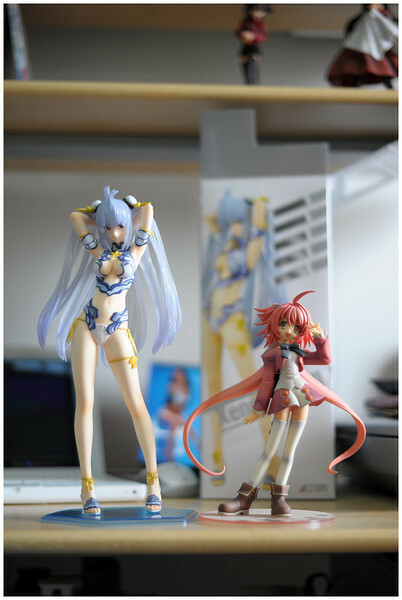 Here is a size comparison of her against Momose. 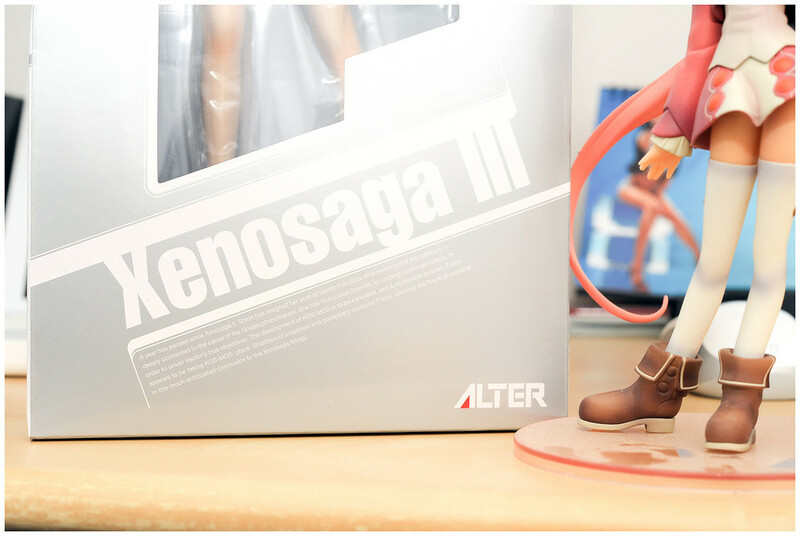 The quality of the figure is fantastic, I expected no less from Alter. If you want some serious close up shots of her, you can find them here at these other websites (the people there are even more “dedicated” then I am. “READ=INSANE!”).Note, they are in Japanese only. But the pictures speaks for themselves. 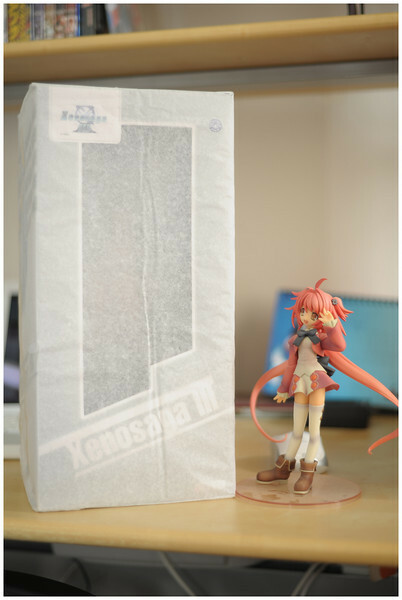 Strangely the hair is made from some sort of soft PVC which allows it to bend without breaking, this is good as I don’t want to imagine it being made with hard PVC since it would be VERY sharp and prone to breaking like the momose I have. A good figure to own if you have the chance. Till then pleasant dreams~~! 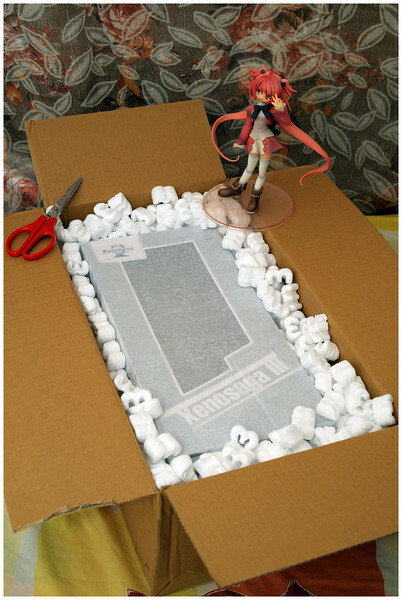 This entry was posted in figurines, photography. Bookmark the permalink. Waiting for mine now. Hobby Search had to delay her for a little. And I will be paying tons for her. Well, she’s worth every penny!